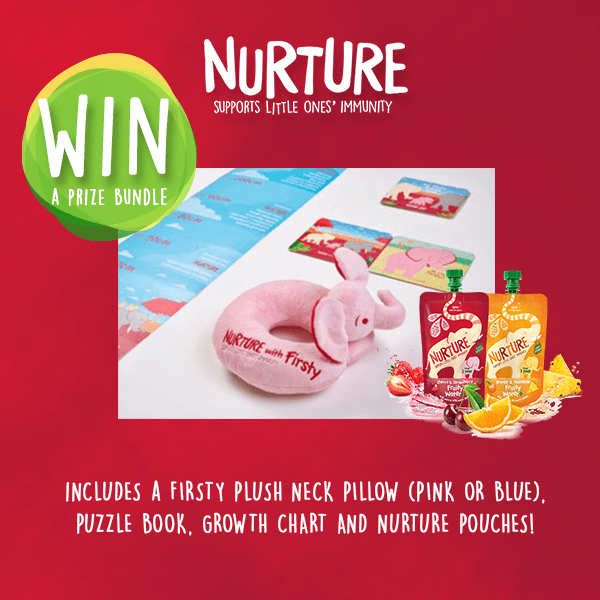 Nurture Fruity Water+, sold in Boots, Holland & Barrett and Ocado, is targeted specifically at young children (aged from 1 year) with added nutrients to support immunity and lower naturally occurring sugar. Made with 45% natural juice and 55% water, as well as nutrients that support immunity, bones, and teeth (scientifically proven with EU health claims) – Nurture Fruity Water+ contains no added sugar and less than 1 teaspoon of naturally occurring sugar per 100ml. What’s more, it is school approved and offers the UK’s first mess-free pouch for on-the-go convenience. 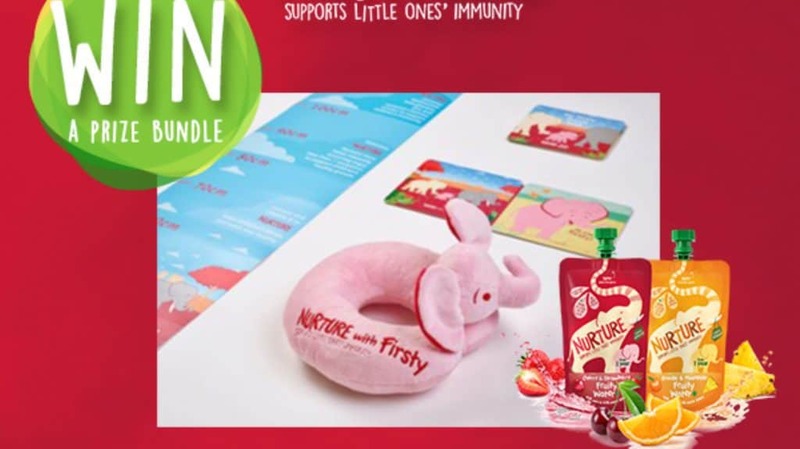 Visit nurtureimmunity.com for stockists and information. 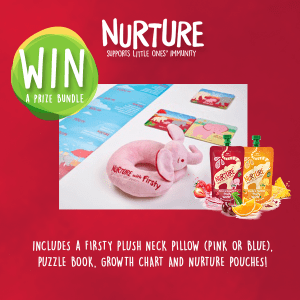 Stay up to date by ‘Liking’ Nurture Immunity on Facebook & Instagram. Please see full terms and conditions before entry . This giveaway is brought to you in collaboration with the kind people of Natural Immune Products. All prizes are supplied and dispatched by them. If you want to know more about me head over to this page. For more posts like this you can stay up to date by following me on Bloglovin. Don’t forget to check out my YouTube channel where I post beauty, life, shopping and make-up related videos. You can find all of my social media links in the side bar! Thanks so much for reading! For more giveaways head over here. Next Post March 2017 Roundup – What’s Been Going Down?